David is a Partner practicing law exclusively in the area of personal injury, with a particular interest in helping people who have been injured in motor vehicle accidents, slip and falls and disability claims. He has experience in alternative dispute resolution and has successfully argued cases at complex mediations and judicial settlement conferences. David also has experience in trial advocacy and has appeared before the Small Claims Court, Supreme Court, Court of Appeal and various tribunals and boards. Raised in Truro, Nova Scotia, David grew up watching his father welcome clients to their family home where he practiced law. Dave learned the dedication it takes to being a great lawyer -- a mix of hard work, unwavering integrity and sincere client relationships. 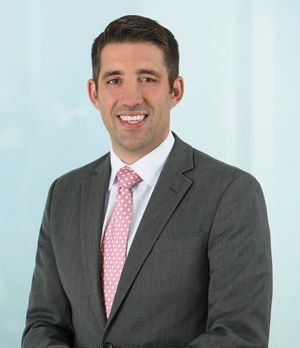 Dave earned his law degree from Dalhousie University and was called to the Nova Scotia bar in 2008, He had the privilege to work full time at the Brain Injury Association of Nova Scotia as part of BOYNECLARKE’s summer student program. This experience allowed him to see first-hand the impact an injury plays, personally, in someone’s life, and was where his passion for practicing personal injury law began. Dave is also a proud alumnus of Acadia University, where he obtained a bachelor of science and was awarded the honour of speaking on behalf of the graduating class as the Cap and Gown student. David currently sits as BOYNECLARKE’s Chair of the Articling Committee, where he annually leads the firm through the hiring process. He is also an active member of the Atlantic Provinces Trial Lawyers Association, the Canadian Bar Association and the Nova Scotia’s Barristers’ Society. In 2013, he completed the Intensive Trial Advocacy course at York University’s Osgoode Hall Law School.